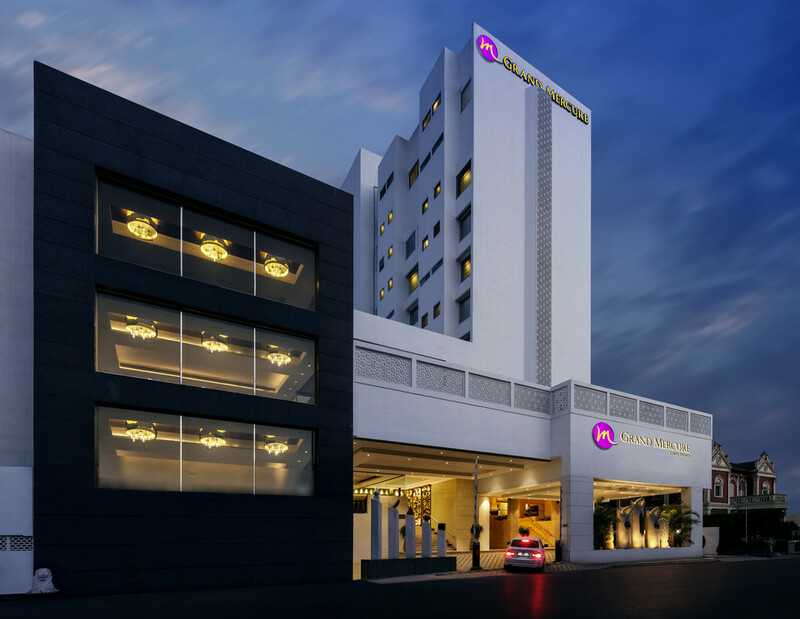 Grand Mercure Vadodara Surya Palace ,strategically located at Sayajigunj, is well connected with major industrial zones in Halol, Savli, Makarpura, Jambusar, Karjan, Nandesari. Major shopping and entertainment hubs like Inorbit Mall, Central Mall, Street shopping areas like Juna bazaar and Khanderao market within a close drive from the hotel. Well-known hospitals like Sterling, HCG Cancer Centre, Sunshine Global, Baroda Heart and others are within 15 mins driving distance from the hotel. Reception to service is good. Quite nice. rooms were neat and tidy. food was good at reasonable cost. The food quality and other facilities were outstanding. The staff was courteous and co-operative. One issue was the taste of water packed in AVA bottles(tasted like river water) so a kind request to look into it. The Checkin process was smooth and the checkin clerk was courteous. Dining was average. Breakfast buffet was below expectations. At least in view of Vadodara climate Yogurt could have been kept on menue. Room size was smaller than expected. Air conditioning was not upto mark. The corridor noise was very loud inside the room and was a major deterrent in a good sleep. Excellent infrastructure and services were brilliant. It was pleasant. Food was the highlight of the stay at hotel... Amazing taste. It was so fantastic. Everything was well established. Quality of all food and breakfast was very good. Staff are well trained. very good front desk booked corporate room it was small based on my request upgraded the room free of cost thanks for that . Food : breakfast continental items were really good but South Indian dishes really bad .Lunch buffet was really good one. Room service : really very bad they need big improvements if ask anything you will get after an hour that’s also have to call front disk Worst part of the stay is security service really very bad need better security service for the 5 star hotels .stayed at least all the hotels in Vadodara in the past 6 month of my travel all 5 star hotels .Your hotel having worst security service. Apart from really good hotel to stay . Over all it was a satisfactory. News paper not provided. Bath soaps were not kept on daily basis. No shaving kit.